Ardently defying the weight of small numbers and reworking the societal view of what it means to be a Pacific Islander, the Pacific Islander Student Association (PISA) at UCR is doing everything that it can to demonstrate the love, strength and unity of its culture that threads each of its members so closely together and propels their energy into improving the educational experience of its community members. “We’re always looking for new members (…) But inside of us there’s this sense of family that we just feel. 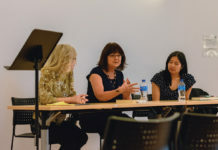 Especially since we’re such a small group on campus, everyone in PISA has become a family,” articulated Cynthia Suliafu, co-president of PISA and third-year political science and administrative studies major. Indeed, for these students, the term “family” runs deeper than merely being biologically related, as everyone treats one another as though they have known each other their whole lives. “We don’t even notice when we ask each other for something because it’s so natural to us. In fact, if someone even refuses an offer, it’s almost rude because we do it because we love you and care about you,” shared Telesia Hunkin, public relations officer for PISA and second-year anthropology major. Especially since we’re such a small group on campus, everyone in PISA has become a family. Above all, the core of the club is to come together to advocate higher education within the Pacific Islander community — for the family, by the family. According to Hunkin, one of the major stereotypes of Pacific Islanders is that they only enter college if they earn sports scholarships or for dancing. “We want to show our younger generations that there are people in our community who have accomplished a lot and that they can achieve just as much,” she pressed. In order to do so, PISA has been avidly visiting schools such as Moreno Valley High School and Riverside Community College to tutor fellow Pacific Islanders as well as establishing a PISA scholarship through funds raised by various forms of fundraising, such as their annual cultural show (the next of which will be on Sat., May 20 and is planned to be called “‘Nesian Breakthrough”). Another fundraiser that they have already had this year was a bake sale in which they produced over 800 pineapple pies and banana breads by hand and drove them to locations across Southern California, such as San Diego, Long Beach and Orange County. 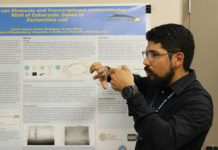 “This is absolutely something that we not only want to advocate at UCR but community wide as well (…) We are working hard to gain more funding and to get recognized by the student government here so that we can continue pushing for higher education within our youth,” voiced Roy Tongilava, co-program coordinator at PISA and second-year public policy major. 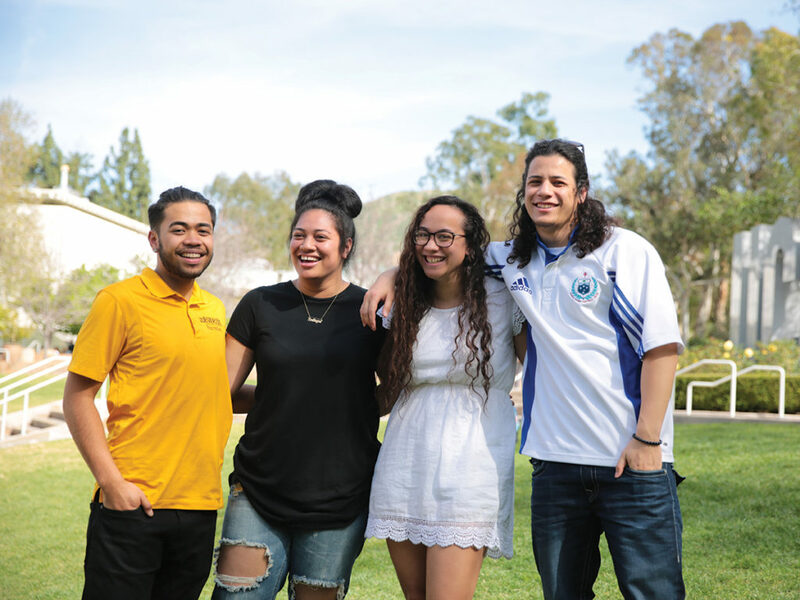 Relating to Tongilava’s assertion toward greater community advocacy, PISA at UCR is not only making strides within the campus but for Pacific Islanders everywhere, proving that they are as powerful and brawny as the bonds that tie them together. 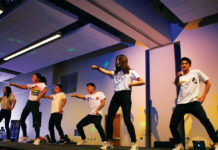 They are resonating everywhere that they can accomplish so much more than the typical Pacific Islander typecast, with one major breakthrough in the club’s history being their departure in the 2012-2013 school year with the dance group. That was the year in which PISA leaders and UCR students Henrietta Toleafoa and Esiteli Hafoka decided they no longer wanted to conform to the stereotypes embedded within the dance routines and to express that there is more to the culture than this one activity. “Before every dance performance, we always explain what we are dancing so that people are informed and understand the history behind it,” shared Hunkin. Although consistently overlooked due to their small population and placed into stereotypical categories such as sports players and dancers, the Pacific Islander community is fighting, on behalf of PISA and several other UC organizations, against everything that has tried to tear the community down by advocating guidance, academia and dedication. PISA is only spreading more Ofa, or “love” in Tongan, with its tight-knit group of impassioned individuals as a demonstration of what Hunkin claims are the two guiding morals in Pacific Islander community: Unconditional love and family.